Care for a trip to Moon? 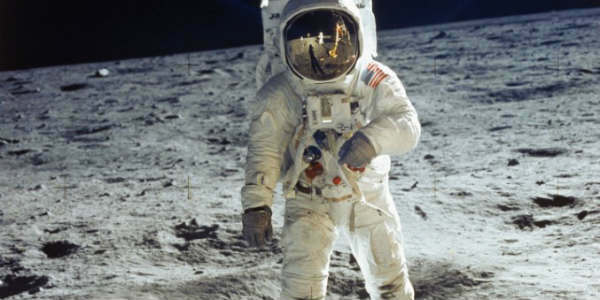 Well, NASA is planning to send humans to the moon once again, only that this time, it might be for quite a while. The US Space Agency wants humans to spend more time on space and is looking forward to sending quite a bit of them in the next decade or so. In fact, NASA wants to ensure that there ain’t a day without humans on space and this time, there should be a lot of them. The manned mission of 2028 is being planned and the plan is to begin trying sending human-class landers on the Moon from 2024. NASA is taking the aid of US-based companies for buidling a reusable system and lunar landers so that landing on Moon is enabled. NASA has asked companies to research and come up with the perfect way to land humans on the Moon’s surface as it wants to begin the development soon enough. NASA believes that this should have been done a decade before only when the discovery was made that the moon has hundreds of billions of tons of water ice. This time NASA plans to get to parts of the moon they haven’t discovered yet. NASA believes that the moon has proving ground for the human performance capabilities as well as technologies required for survival on some other planet along with its ability to develop in-situ utilisation abilities. Instead of Mars, where it is difficult to come back home for about two years, moon should be the one to be targeted.